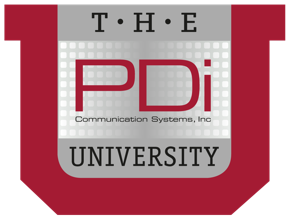 PDi University | PDi Communication Systems, Inc. The PDi-UNIVERSITY on YouTube is an organized repository of training and informational videos brought to you by PDi Communication Systems, Inc, the nation's largest US-based manufacturer of complete patient interactive bedside TV systems and the national leader in personal, arm-mounted patient television systems. PDi designs & builds the latest Android™-based Interactive Patient Systems to help patients and families become partners in their care, improve patient experiences, health outcomes, and patient satisfaction. PDi … Your Source for Patient Television Solutions by People Who Care™, based in Springboro Ohio.